Members of the In Vivo Research Center (IVRC) at UNIST are posing for a group photo. Clockwise from left are Yoon Hee Kwon, kyoung-su Park, Il Shin Kim, Yoon Jin Lee, Yun Ji Choi, Soohyun Hwang, and SooA Park. Contributing to the advancement of animal research. UNIST has recently announced that the institution’s In Vivo Research Center (IVRC) became the first laboratory in the nation’s southeastern region to receive a Certificate of Good Laboratory Practice (GLP) compliance from the Ministry of Food and Drug Safety (MFDS), formerly known as the Korea Food & Drug Administration (KFDA). The certificate acknowledges the site is operating in compliance with OECD Principles of GLP for both toxicology and laboratory services. 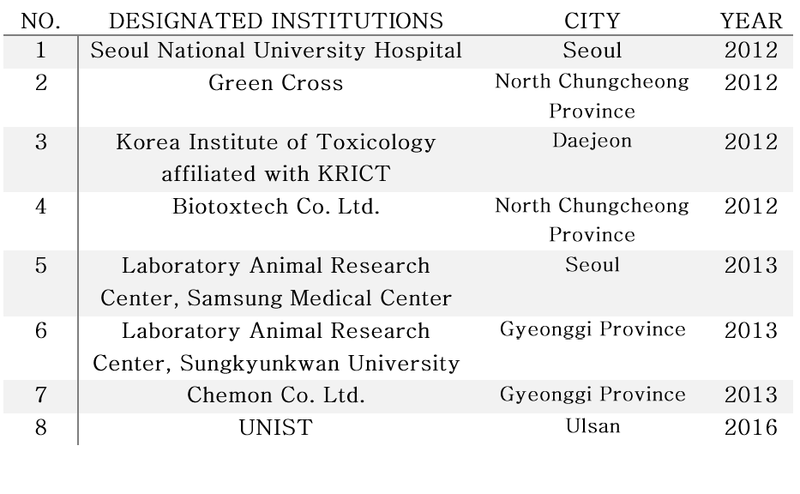 Currently, there are eight institutions in South Korea that have KDFA-designated animal testing laboratories. UNIST is the only institution in South Korea to have a good animal testing facility without having a medical school. ▲ Current state of GLP-designated institutions (As of 2016). In order to receive the KDFA Good Laboratory Practices (GLP) recognition, an institution must meet the following requirements. First is to secure at least one veterinarian and an expert with at least 3 years of practical work in the area of laboratory animal science. On the facility side, one must have the following facilities, such as a breeding room, a laboratory, a quarantine room, an operating room, an autopsy room, as well as a waste storage room. This certificate is recognized throughout South Korea and it took the workers of the facility more than three years of intense work to gain the certificate. 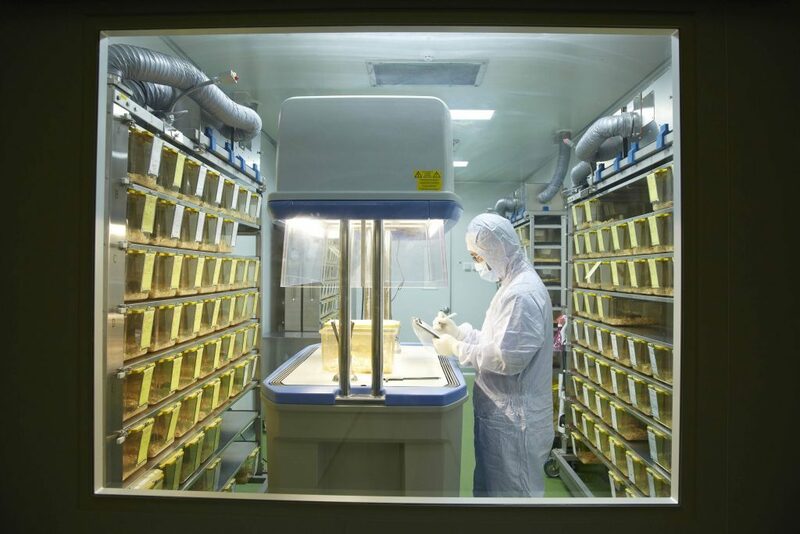 Established in 2013, the In Vivo Research Center (IVRC) located in the UNIST Central Research Facilities (UCRF) offers strict management for clean breeding, as well as the state-of-the-art equipment support for bio-efficacy analysis. The center also conducts research on Alzheimer’s, cancer, as well as metabolic diseases, such asdiabetes and obesity. The space of IVRC is composed of four animal zones and four efficacy analysis lab for the systematic classification and functional management in accordance with the purpose of animals use. A researcher is examining the laboratory mice at the husbandry, UNIST. The IVRC was also selected as the best research facility, providing a safe laboratory environment for its researchers and students and given a condemnation of Minister Prize Award from the Korean Ministry of Science, ICT and Future Planning. When inspected by the Living Modified Organisms (LMOs) Laboratory Safety Management Center, UNIST’s IVRC was rated as a safe place to carry out experiments involving LMOs.